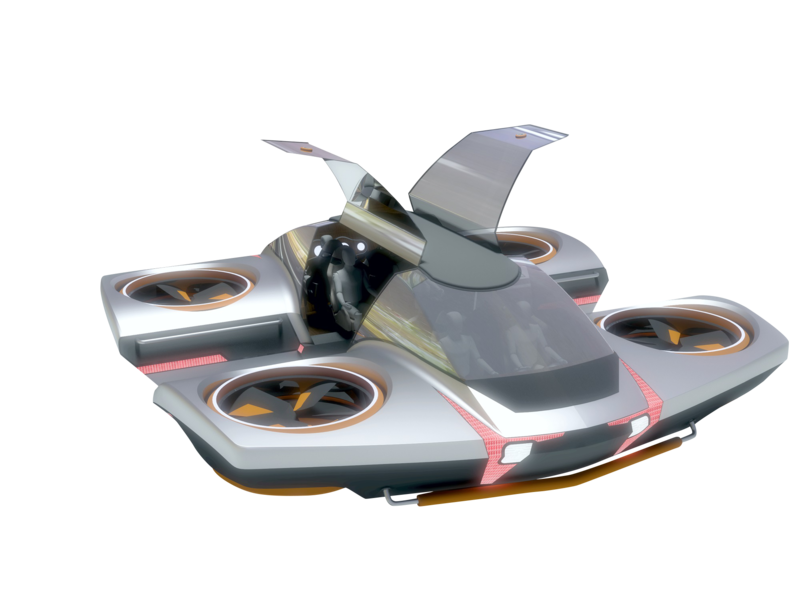 The DEKATONE Flying Car is a concept flying car being explored by Dekatone, based in Toronto, Ontario, Canada. Possible configurations could include anywhere from 2 to 8 passengers. The DEKATONE Flying Car does not have any published technical specifications at this time. Dekatone's concept - using four ducted fans on each corner of its eVTOL - seems like a sound configuration to move forward with. The Toronto - based company completed a proof of concept prototype and successfully tested it last year, so they carry some formative experience into production of the full-scale model.